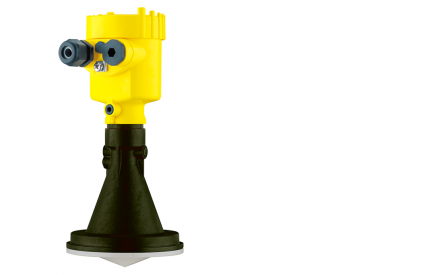 Continuous non-contact level measurement with radar, the sensor sends microwave signals towards the medium from above. The surface of the medium reflects the signals back in the direction of the sensor. Using the received microwave signals, the sensor determines the distance to the product surface and calculates the level from it.